Let our technicians look after your company’s IT needs and allow you to concentrate on your business instead of dealing with technology issues. We specialize in making your business easier. We provide Enterprise quality solutions for small and medium sized businesses without the big business prices. 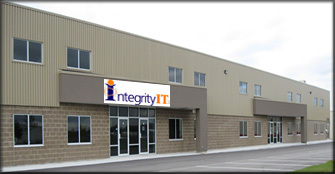 We are confident in our ability to offer you complete technology solutions at competitive prices. We offer a variety of technology services from A to Z. Some of the services we provide are Managed Services, Help Desk Support, Networking, Internet, Telephone, Voice Mail and VOIP Systems, Data Recovery, Software Development, Hardware, Software, Degaussing, and much more. Our support services can be delivered under a flat rate support contract, with coverage options up to 24x7 or if you prefer support can be provided on an as needed basis.